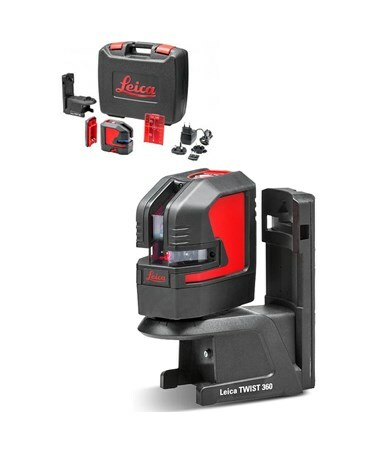 The Leica Lino L2P5 Point and Line Laser is an all-in-one cross line and point laser tool ideal for alignment tasks such as tiling, drywalling, partitioning and electrical installations as well as plumb point projection. It features optics that enable it to project very bright and clearly visible laser lines and dots. Its self-leveling capability allows it to automatically adjust its positioning when slightly out of level. This device is designed to fit special mounts for quick and easy positioning with absolute precision. Depending on the lighting condition, it can have a working range of up to 25 meters. With the use of a laser receiver, the working range extends up to 80 meters. 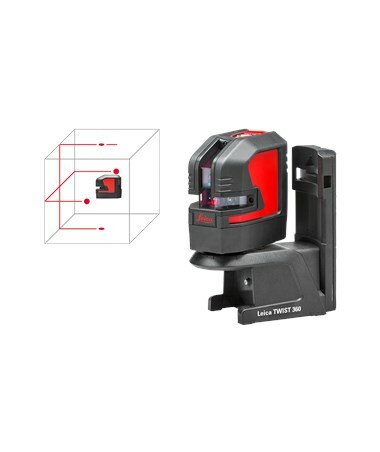 Its self-leveling accuracy is ± 0.2 mm with a range of ± 4 degrees and a self-leveling time of less than three seconds. It projects two laser lines and four laser dots at the directions vertical, horizontal, up, down, right, and left. 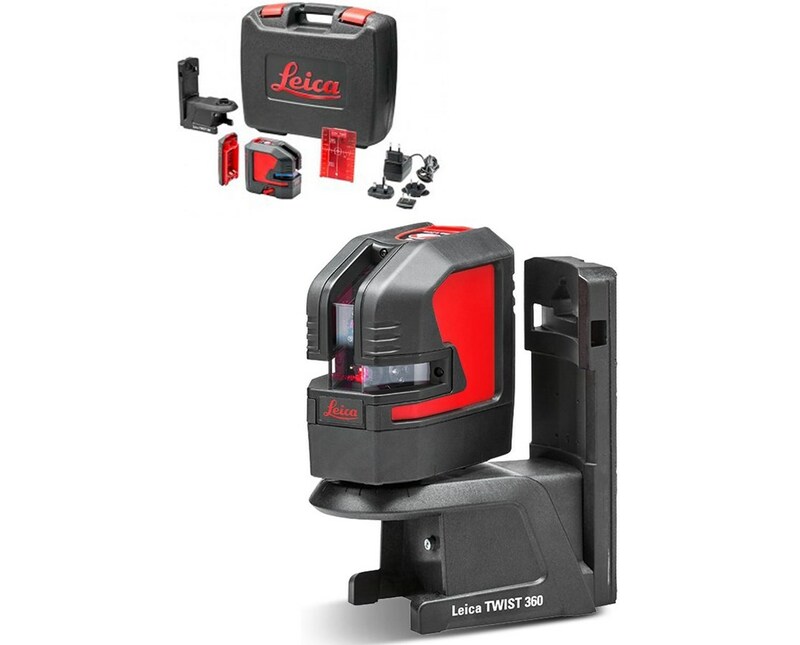 This unit comes with a Twist 360 mount, Li-Ion battery, charger, alkaline battery tray, target plate, Quickstart, Calibration Certificate Blue, and a case. This point and line laser is made of high-grade fiberglass-reinforced materials which makes it perfect for outdoor and construction use. The optics are protected by a high-grade aluminum frame and impact-absorbing rubber components. It is also dust and water resistant with an IP 54 protection.